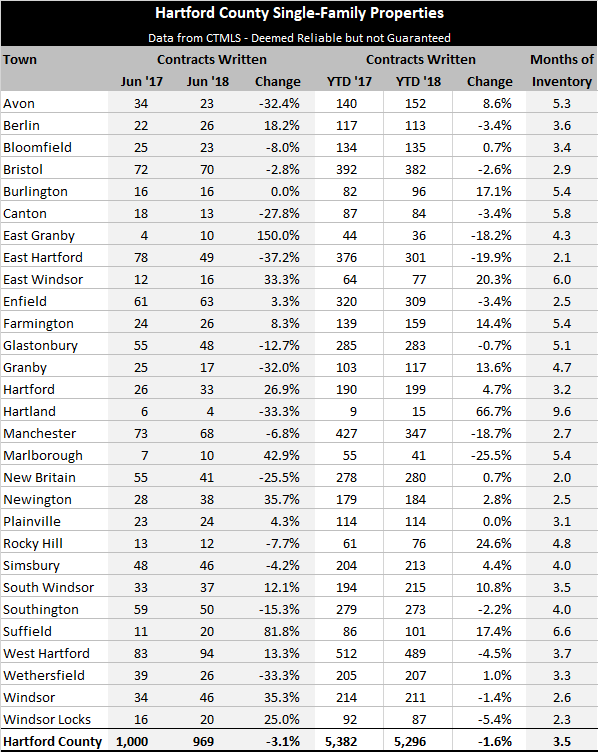 Halfway through the year, the real estate market is in good shape. Activity levels are in line with the previous two years, which were both strong years for the market. 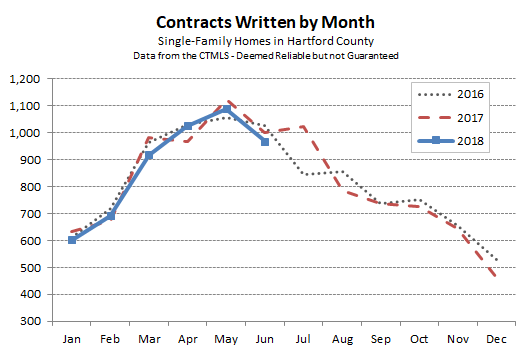 Hartford County finished the month of June with 969 single-family contracts, which was about 3% fewer than the total from last June. On a year-to-date basis the first half of 2018 was about 1.6% behind the first half of 2017. One of the important trends of the first half of the year was an increase in mortgage rates. We started 2018 with buyers getting mortgages with interest rates at about 4.0%. Rates jumped to just below 4.5% in the first quarter, and crept up a little more in the second quarter. We’re seeing rates in the mid-to-upper 4% range right now. The increase in mortgage rates is relatively modest in the overall scheme of things, and rates are still at very low levels historically, but these types of changes do have an impact on buyers. Monthly interest payments tick upwards, reducing the monthly budget available for actually buying the house or covering the other costs that go along with home ownership. At the margin the change in rates will have a cooling effect on prices. Despite the increasing rates, we fully expect the real estate market to continue to be active for the remainder of the year.